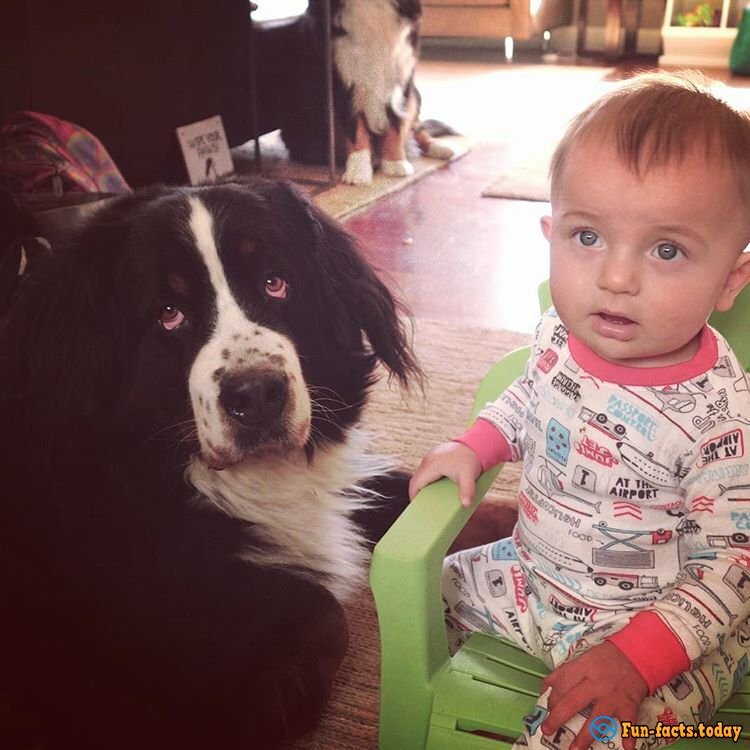 No wonder the famous proverb says that the dog is man's best friend. 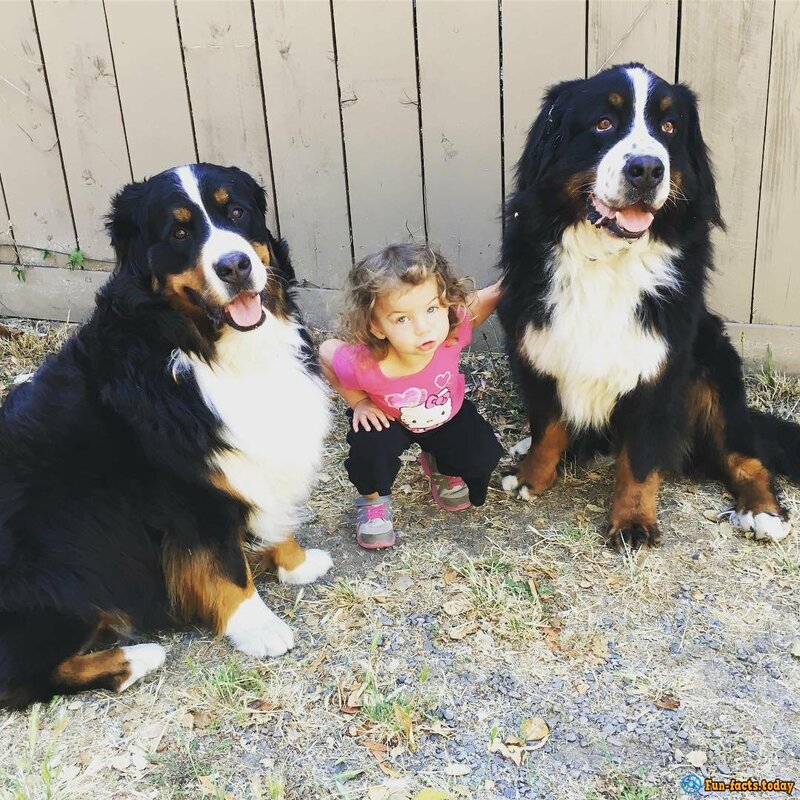 After looking at this charming quartet, it’s hard to imagine a more solid and touching friendship! Our today's hero’s names are Ruby, Sonny, Biggie and Worcester. Ruby is a charming girl, and Sonny is her younger brother. 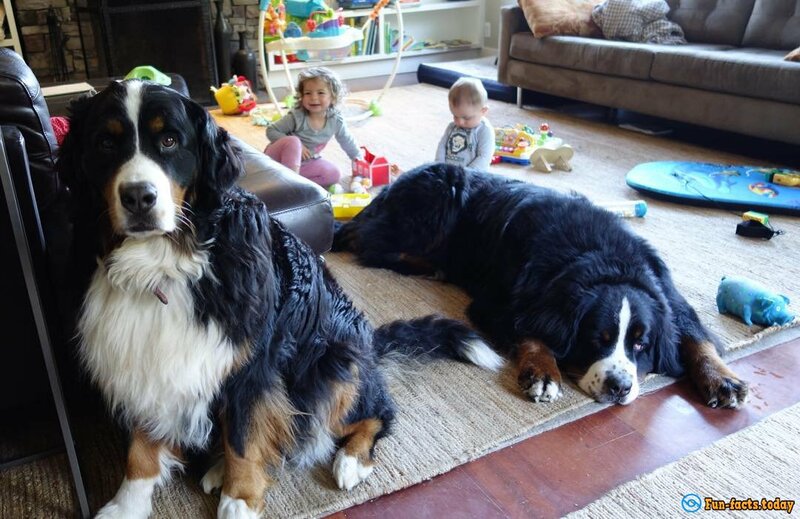 As for the Biggie and Worcester, they are two huge Bernese mountain dog, which, in combination, are the best friends (and even teachers!) of kids. And we do not exaggerate; the cheerful quartet does everything together. 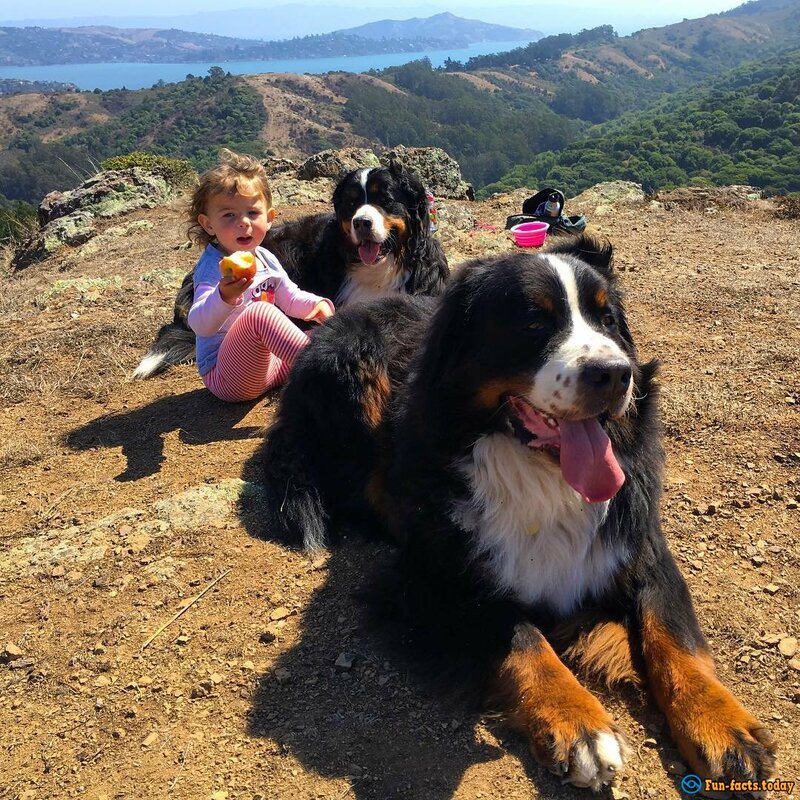 Despite the noticeable difference in the dimensions of four friends (an increase of doggies on average 65-70 cm), you should not worry about children, because the shaggy Mountain Dogs are very good-natured and loyal to the owner, they are not aggressive and very obedient.